SpaceX has chosen to manufacture its planned big, new rocket in the Port of Los Angeles, Mayor Eric Garcetti announced April 16 in his annual state of the city speech. 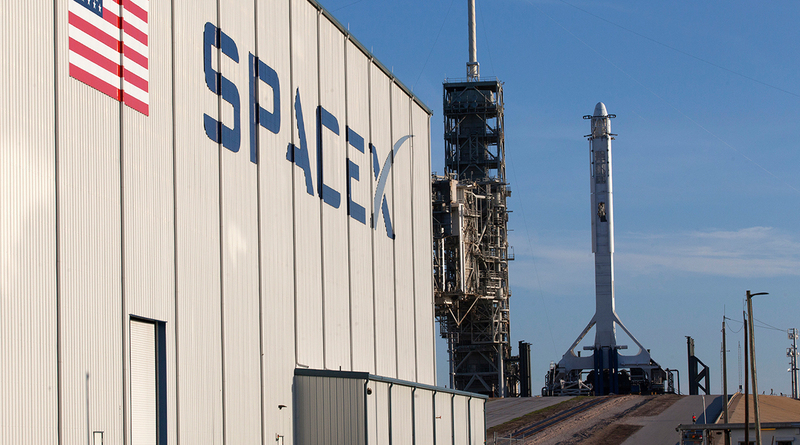 The Board of Harbor Commissioners will vote April 19 on whether to lease 19 acres to SpaceX for the manufacturing site. The commission’s staff has recommended approval of an initial 10-year term, with two 10-year options, at an annual rent of approximately $1.38 million. SpaceX calls its existing rockets Falcons, but CEO Elon Musk refers to it simply as BFR. Officially announcing that @SpaceX will start production development of the Big Falcon Rocket in the @PortofLA! It is intended to serve all purposes, from missions into Earth orbit and out to the moon and Mars. Musk has said he aspires to launch his first cargo missions to Mars in 2022. Musk also proposes to use the rocket for high-speed trips from point-to-point on Earth, such as New York to Shanghai in 39 minutes. “SpaceX has called the Port of Los Angeles home to our West Coast recovery operations since 2012, and we truly appreciate the City of Los Angeles’ continued partnership,” SpaceX President Gwynne Shotwell said in a statement. “As announced today by Mayor Garcetti, the port will play an increasingly important role in our mission to help make humanity multiplanetary as SpaceX begins production development of BFR — our next generation rocket and spaceship system capable of carrying crew and cargo to the Moon, Mars and beyond,” she added. “The rockets, once complete, would be too large for reasonable transport by road and thus must be transported by barge or ship, necessitating that the facility be water-adjacent,” it says. The facility would have potential for 700 employees.